Before BC passed the Strata act in 1969. Before that condos had to create coporations with each owner having a stake, some form of leasehold, or cooperative. None of them really met the needs of condo ownership which is why the Strata Act was passed. It took time before strata titles became common. False Creek was started before stratas were common. Now, the way I read it Bernard, people in Orchard do not own any piece of the building, nor the land, is that right? They simply have a long-term lease to occupy the unit, and must return it at end-of-lease in condition they got it. As opposed to say, Musquem, where the houses were owned by people leasing the land. I am one of the leaseholders at Orchard House. Although a 2-page report from an engineering company from September 2013 stated that windows were not in immediate need of replacement but were nearing the end of their service life, Westsea did provide an updated engineering report, dated March 24, 2016. In the March 2016 report, the engineers estimated costs for the window replacement project of $3.65 million. On or about July 5, 2016, only three months later, Westsea informed leaseholders that the windows project will cost $5.5 million. Leaseholders cannot get any answers from Westsea to requested information relating to the increased costs (nearly $2 million more than the engineers estimate). Westsea is taking the tack it has no legal or contractual obligation to respond to any inquiries. To support this position, Westsea purports to rely on a settlement of a court application I made in which both myself and Westsea agreed that I would dismiss my court application for an interpretation of the lease, on the condition that Westsea would provide an engineering report about the windows project. There was no court order in relation to the substance of my application - just an agreement that Westsea would provide the engineering report. And yet Westsea's lawyer is telling leaseholders the matter "was litigated in the Supreme Court of British Columbia", which may mislead leaseholders to believe that the court made an order that Westsea has no obligation to answer inquiries -- such an order clearly was not made by the court. In turn, Westsea is exploiting a court settlement as yet another mechanism by which Westsea sustains their monopoly on the information exchange between itself and the leaseholders, who are required to pay all the bills that Westsea presents them. "All residents are responsible for clearing their belongings. If the contractor is required to move personal belongings, the resident will be back-charged at a rate of $56.55 / man-hour. Farmer Construction and or Westsea Construction Ltd. et al will not be held liable for any items that require moving and get damaged." I would be interested to know how Westsea has arrived at this hourly rate, which seems exorbitant and arbitrary to me. Westsea feels it can simply tell leaseholders what we must pay if workers have to move household items. I have seen nothing in the lease that gives them authority to make such a demand, let alone charge the cost they are suggesting; and their unilateral declaration that Westsea cannot be held liable for damages simply flies in the face of their legal duty to take reasonable care. These are just further examples how Westsea exploits the imbalance in power between itself and the leaseholders, who pay the bills. 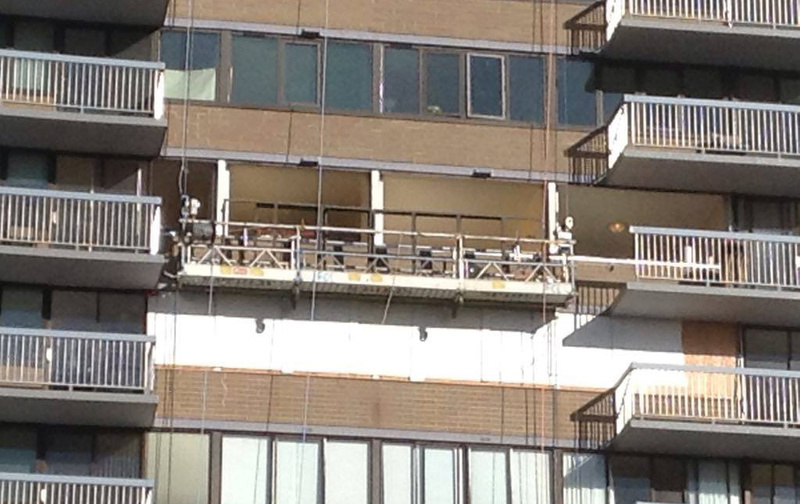 The residents of this leasehold building had no choice but to ante up $20k and up for these new windows. Now, as the weather is getting chilly, they have windows removed and then boarded over, possibly while new windows are installed from inside? Clearly they can not stay home while this is going on. My high rise condo [location removed] had engineers advise us to replace our single pane windows, but due to cost, disruption, and the lack of any window failure in [number removed] years, we chose not to do it. The folks in Orchard House have undertaken legal action against the owner, and I wish them well. It's a fairly simple job for crews that know what they are doing. And workers should not require more than 2 hours per window set. "Boarded over" would be very, very rare. The building's only (2016-1970/1) 45 years' old, it's a scary thought that highrise windows may not be pretty much good for the life of the building (~110 years). Replacing them now, implies they may need to be replaced yet again before the building's reached it's economic endpoint. Does anyone know of highrise window replacements that were needed (other than for renoviction purposes of course), in a similar climate? It's not reasonable to expect windows to last 110 years if they are a style that opens in any way for ventilation. I'd say that probably in this town, 90% of 60's houses have had most of their windows replaced. During the remediation of my condo complex back in 2004, all windows in my townhouse unit were removed and replaced and at no time were the openings ever "boarded over". I am not sure why this would be necessary at Orchard House if everything is planned well in advance. That's right. Only serious human error (in measurements or installation) would cause anything to be boarded up for even a night.